The Parodiopsidaceae are a family of fungi that are either biotrophic on leaves or hyperparasitic on sooty moulds (Cannon & Kirk 2007). 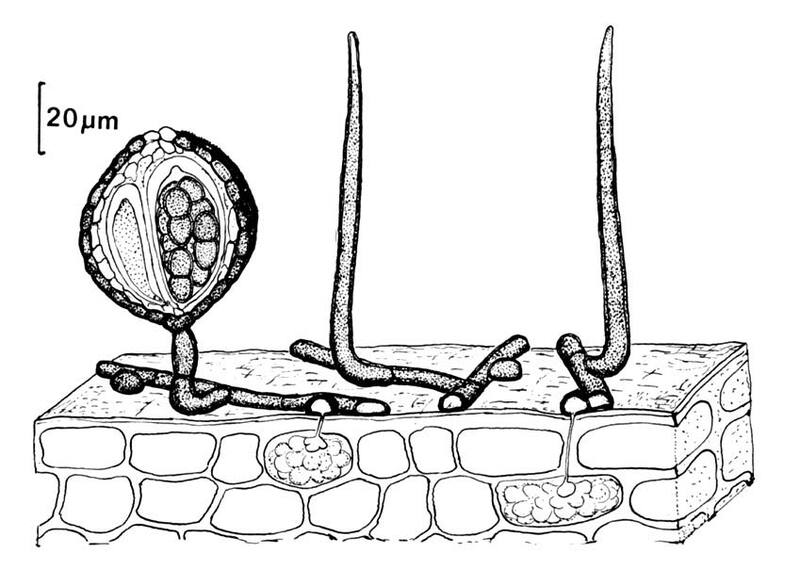 Characters (from Cannon & Kirk 2007): Mycelium superficial, dark, usually setose or hyphopodiate. 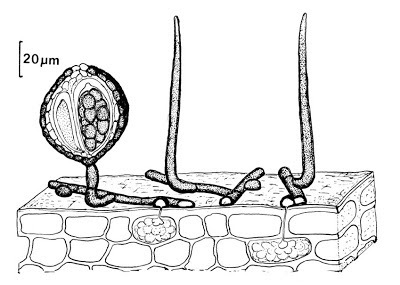 Ascomata superficial, perithecial, sometimes stalked, globose, small, thin-walled, opening by breakdown of apical cells to form an irregular ostiole; peridium composed of 1-2 layers of dark pseudoparenchymatous cells, sometimes setose. Interascal tissue disintegrating at an early stage of development. Asci saccate, fissitunicate, sometimes J+ blue. Ascospores brown, septate, the septa sometimes thickened, sometimes ornamented, sometimes with a sheath or gelatinous appendages. Anamorphs hyphomycetous. Conidiophores dark, short, simple, usually poroid. Conidia solitary, elongate and often attenuated, thick-walled, septate.